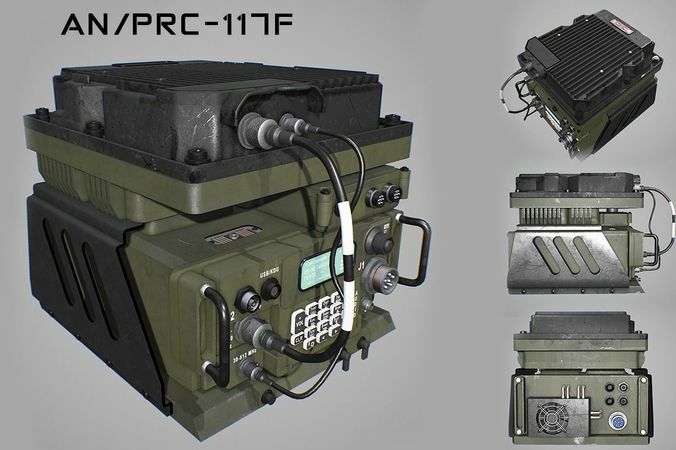 Photorealistic highly detailed 3D model of army Radio Transceiver.3D model has all the necessary texture maps for PBR renderer. The model has a luminous screen and buttons. All inscriptions are placed in a separate texture map with an alpha channel and can be easily changed (PDF file with all layers is attached). All textures included. The final images are rendered in PBR in real time. This model can be used as a game asset. The scene also included a standard material (Scaneline). Real world size (meters).